Stars and stripes forever! Have some red, white and blue patriotic fun with The Patriot Inflatable Slide. This bright and colorful slide features a gigantic monster truck at the top and a bank of tires with a banner at the bottom. Patriotic sliders climb up through checkered flag-decorated arches, into the monster truck and down the slide through another arch. 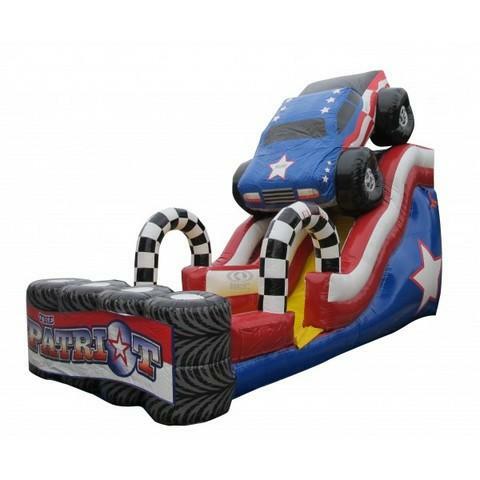 The truck and sides of the slide are adorned with stars and stripes making this slide perfect for the 4th of July or any event with a patriotic flair.